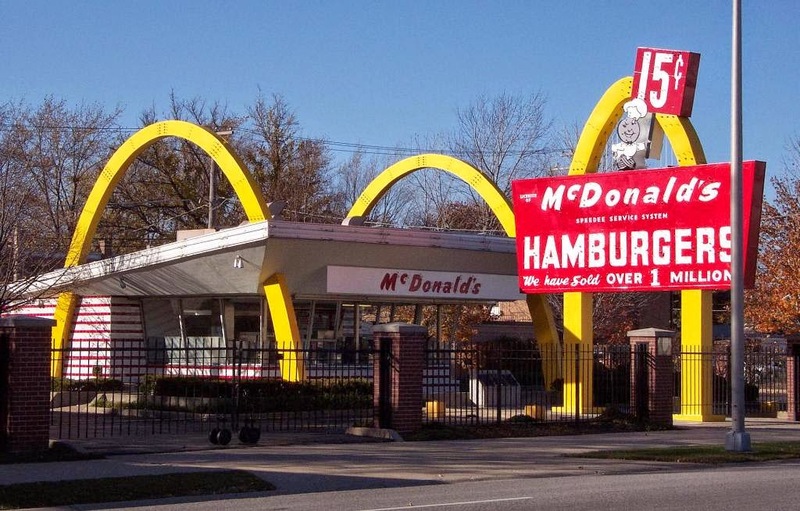 One of the very first McDonald's restaurants to open in the 1950s, in Des Plaines, Illinois. It's now a museum. By now, you've looked at the United States' foreign policy and how it became more involved in world affairs as the Cold War began. You've also looked at how domestic events taking place within the US shaped that foreign policy and influenced the decisions of the Government. Now we're going to look at another layer - the economy. From your own life, you should already be very familiar with how an economy performing well or badly can impact on the decisions a government takes. Our own economy has been poor for the last five years, and we're living through the decisions our own government is taking because of that. In the years after World War II, the American economy was performing extremely well (a boom), which contributed to America's new position as one of the world's dominant superpowers. Nothing lasts forever though, and the US economy eventually fell into recession. In this section, you'll learn how the booming economy contributed to how the US Government acted at home and abroad, how the recession began to change that, and what the Presidents of the 1970s and 80s tried to do to repair it. How did World War II influence the US economy? What advantages did the US economy have over Europe in the postwar years? How did public investment develop? What did the government spend on? What role did research & development play? What role did cheap energy play? What role did technological development play? Multinational Corporations: What caused multinational expansion? How did foreign investment change over the years? What external factors were there? Globalisation: What is "Americanisation"? Give reasons for and against globalisation. Military-Industrial Complex: What was Eisenhower's warning about? How did the complex develop? What was the Iron Triangle? Causes of the population increase: Birth rates, immigration. Demographic Changes: Population structure, mobility, growth of suburbs, interstate infrastructure. Causes: What was the Vietnam War's impact? What is a deficit? Domestic Impact: Labour costs, Unemployment, Stagflation. Government Response: What economic actions did Nixon, Ford and Carter take? Were they successful? What was Reaganomics and what effect did it have? International Competition: Japan and West Germany: How did they close the gap between themselves and the US? 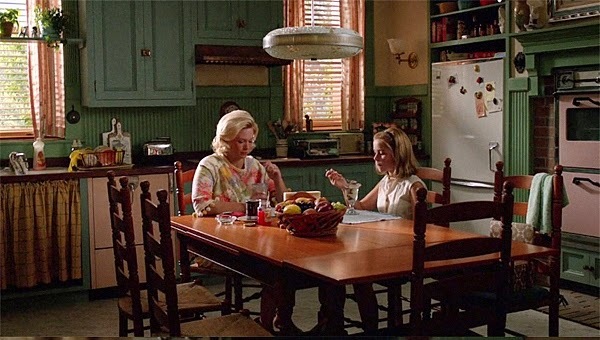 More American families moved to the suburbs in the 1950s and 1960s. 2016: What were the strengths and weaknesses of the US economy, 1945-1989? 2014: What were the significant developments in the US economy, 1945-1989? 2013: What was the impact on the US economy of one or more of the following: the multinational corporation; the military-industrial complex; international competition from Japan and Europe? 2012: To what extent did the US economy experience both success and decline during the period 1945-1989? 2010: Why did the United States experience an economic boom, 1945-1968, and what was its impact on society? Write a short paragraph on the US economic boom, 1945-1968. Write a short paragraph on the multinational corporation, 1945-1968. 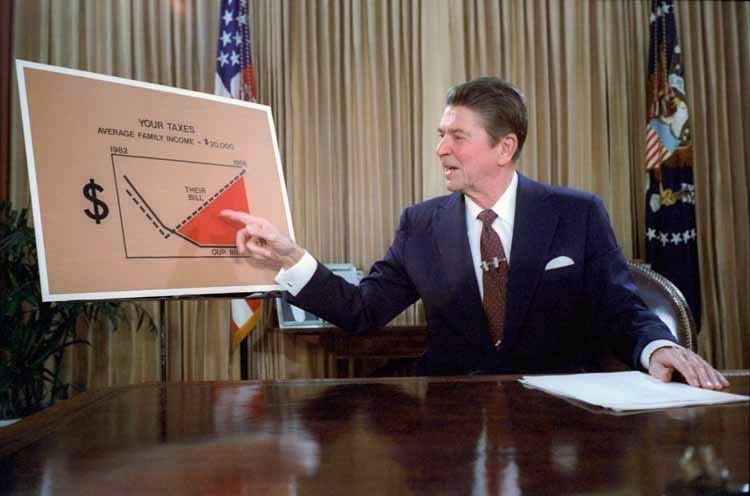 President Ronald Reagan's economic policies came to be known as "Reaganomics".